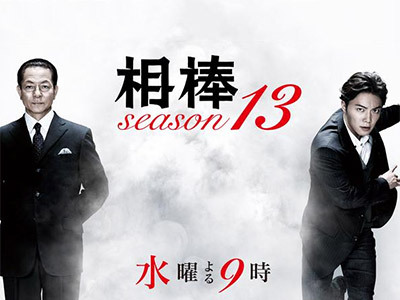 "AIBOU" started in 2000 and has been the most popular police procedural Japan has seen in the past decade. Detective Ukyo Sugishita confronts crime on the basis of his own convictions. He has a partner that works for him in the Special Task Unit. Currently working with Ukyo is a young detective Toru Kai, who first appears in Season 11. 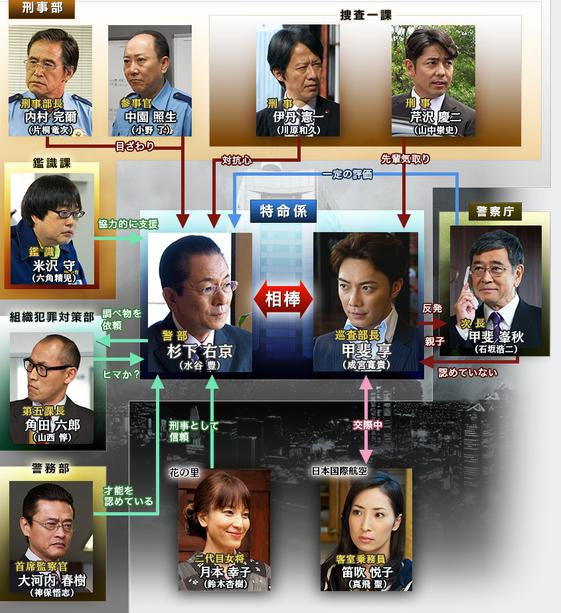 Toru is a son of Deputy Director-General of The National Police Agency. But he became a detective by his own effort. Whele always retaining its entertainment value, the show cometimes delves into the way the police force is organized and the role of justice itself. Narimiya leaves. It was nice to see Yoshino Kimura return in the same character she played in "Aibou 3" but the whole 'Dark Knight' thing was like something out of a comic book and they brought in Yukie Nakama but her character didn't really contribute anything special.